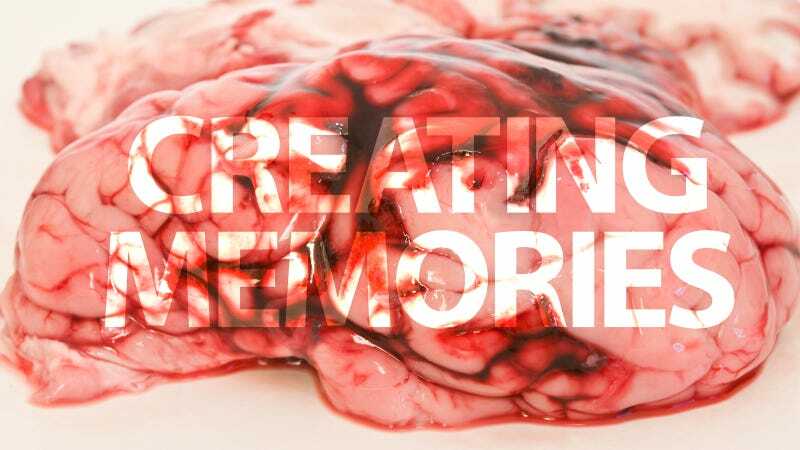 I find this extremely hard to believe, but according to new research published in Nature Neuroscience, scientists have invented a method to induce memories in brains for the first time in history. The study—published by Case Western Reserve University School of Medicine's Professor of Neurosciences and Physiology/Biophysics Ben Strowbridge, PhD, and MD/PhD student Robert A. Hyde—shows a method to store different types of short-term memories, which they have successfully tested in brain tissue stored in vitro. Titled "Mnemonic Representations of Transient Stimuli and Temporal Sequences in Rodent Hippocampus In Vitro", their paper describes how they used a piece of mouse brain tissue to form the necessary circuits to record a short-term declarative memory. This type of memory can be something like names, places and events. These neural circuits—located in the hippocampus—retained the memory from different stimuli for ten seconds. The researchers were able to observe the recording of these artificial memories by tracing the activity of the brain cells. According to Hyde, "the type of activity we triggered in isolated brain sections was similar to what other researchers have demonstrated in monkeys taught to perform short-term memory tasks. Both types of memory-related activity changes typically lasted for 5-10 seconds." Uncanny. The rat brain in vitro was even able to remember different sequences of events.